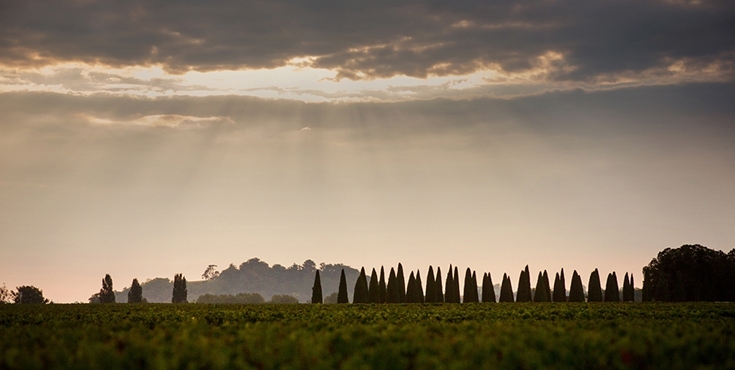 Purchased by Jean-Pierre Moueix in 1953, Château Trotanoy has been considered one of the premier crus of Pomerol since the end of the eighteenth century. The soil of Château Trotanoy is a very dense mixture of clay and gravel which tends to solidify as it dries out after rain to an almost concrete-like hardness, hence the name “Trotanoy,” or, in other words, “too wearisome” to cultivate. The Trotanoy vineyard slopes gently to the west. The soil at the highest point of exposure contains a good proportion of gravel, becoming progressively more dominated by clay as the elevation declines. Under this clay is a subsoil of red gravel and an impermeable layer of hard, iron-rich soil known as “crasse de fer.” This fascinating soil diversity brings power, depth and complexity to the wine. Trotanoy is vinified in small concrete vats, while maturation takes place in oak barrels. Établissements Jean-Pierre Moueix = JPM, is a Bordeaux négociant house founded by Jean-Pierre Moueix in 1937, situated in Libourne. Jean-Pierre Moueix retired in 1978 and died in 2003. In 1991 his son Christian Moueix became president of JPM, while the grandson Edouard Moueix in the company since 2003. JPM is famous and respected as a specialist of right bank among the wine-professionals. 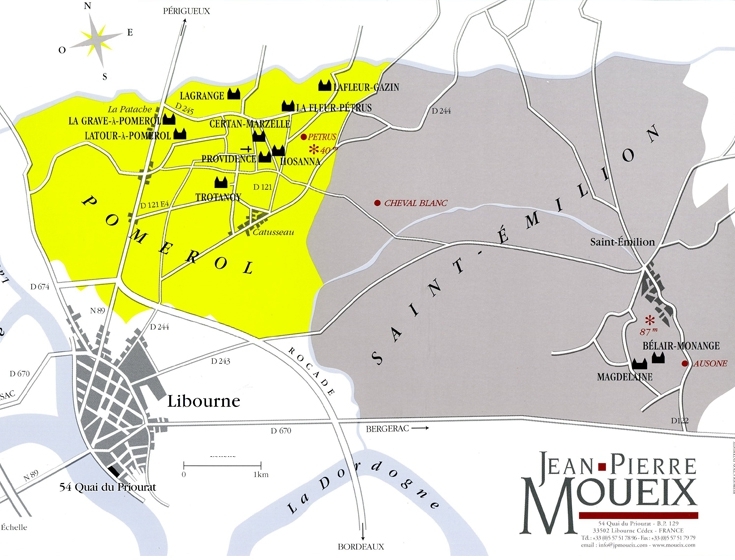 Exclusively or major part of top chateaux (ex : Lafleur, Gazin etc) are distributed by JPM. Besides, JPM owns and produces Trotanoy, La Fleur Petrus, Hosanna, Lagrange a Pomerol etc. Chateau Petrus was managed by Christian Moueix since 1971, but he stated in 2008 his intention to distance himself from Petrus, limiting his role to that of a consultant.